England's big guns, Manchester United FC, have created an 18/19 Home Anthem Jacket which needs to be worn with pride by all supporters of the Greater Manchester club. 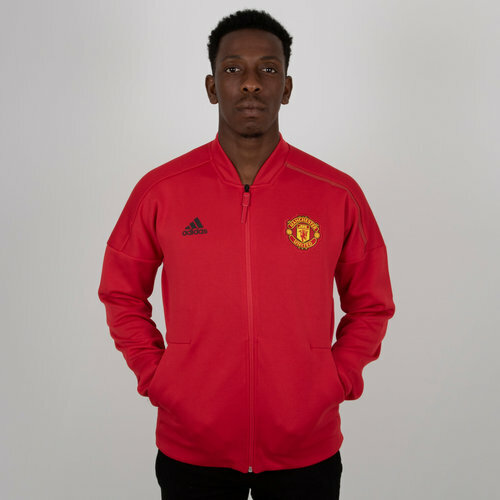 Premier League titans Man United have teamed up with adidas once more to bring their fans this Home Anthem Jacket that is worn at Old Trafford when their players step out of the tunnel. 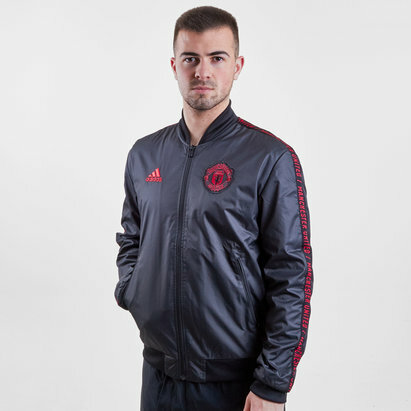 The jacket is made from smooth fabric with a wide fit in the body for comfortable casual wear, during warmups or at The Theatre of Dreams. A quick release zip lets you tear it off in a second when it’s time to hit the pitch. 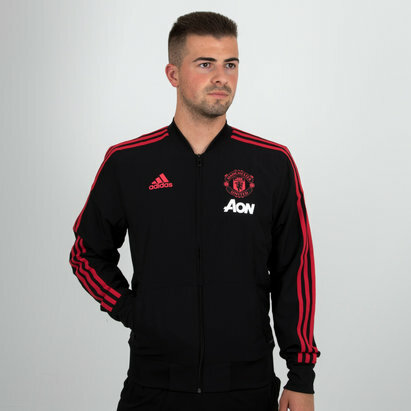 This jacket comes in red with the club crest embroidered on the chest and the adidas logo embroidered in black on the right as worn. The words “Manchester United" are printed in black on the back. Wide fit in the body. Manchester United wording on the back. 87% polyester, 13% cotton interlock.